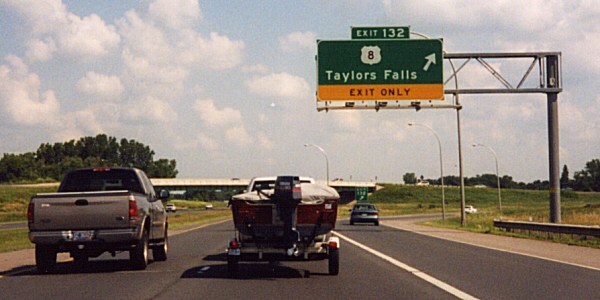 US 8's current western terminus is at I-35 in Forest Lake. Photo by Monte Castleman. US 8 originally ended at US 61 in Forest Lake. In 1931, it was extended into downtown Minneapolis, to end here at 3rd Ave and Washington Ave. At the time, US 12/52 ran along Washington, and US 65 ran on the other side of 3rd Ave and also ended here. Today, only MN 65 goes through this intersection. Photo by Adam Froehlig. 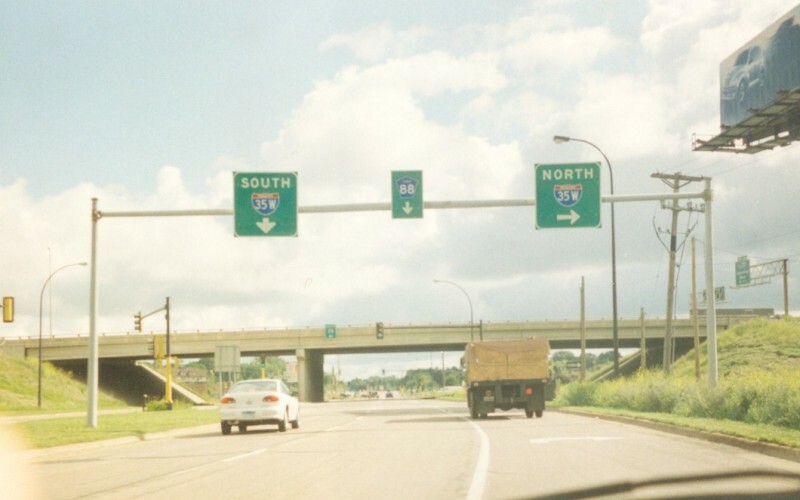 In 1978, with ongoing construction and completion of I-35W, US 8 was truncated from downtown Minneapolis to this point, the I-35W/New Brighton Blvd interchange, though sources are unclear as to whether US 8 actually terminated here or terminated at the E. Broadway/New Brighton Blvd intersection 1/4 mile behind this location. 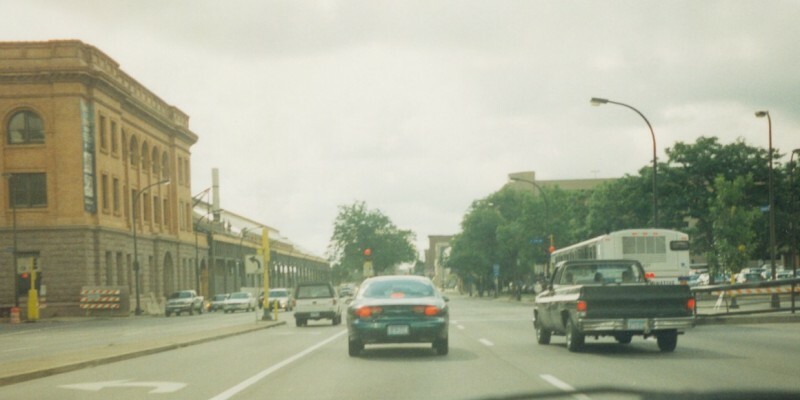 Either way, this terminus was short-lived, as in 1981, it was truncated yet again to its current terminus in Forest Lake.